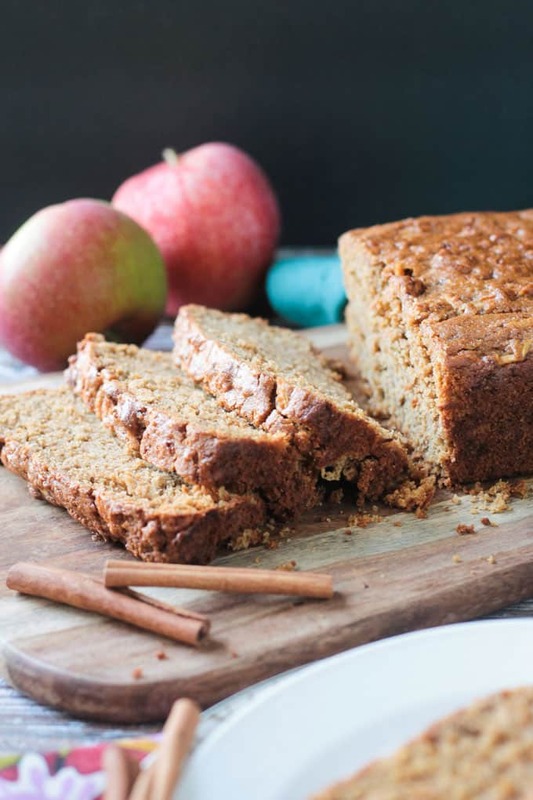 Apple Cinnamon Bread – simple, classic fall flavors in an easy oil-free quick bread. Try it for breakfast, a lunchtime treat, an afternoon snack with coffee or tea, or even a dessert. We are just a few short days from the official fall season. I’ve been seeing, and sharing, lots of pumpkin love already. But lets not forget about autumn’s other produce. 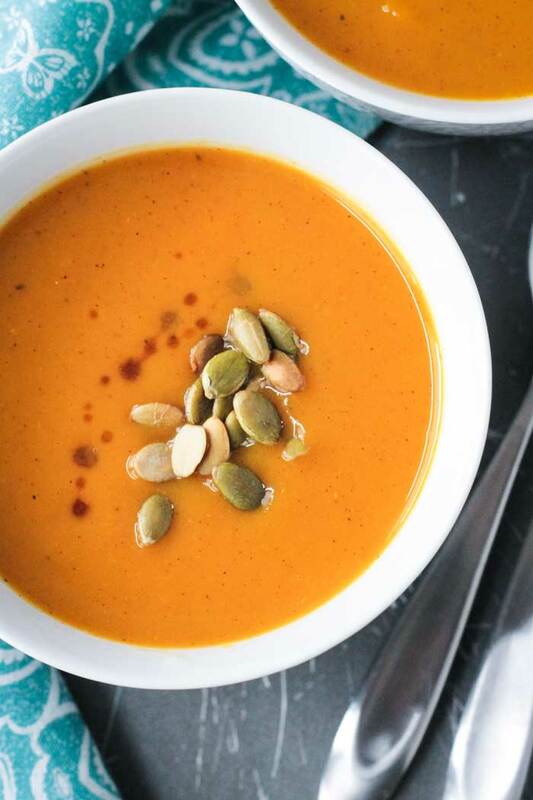 Apples sometimes play second fiddle to pumpkin this time of year, but they are just as versatile, if not more. 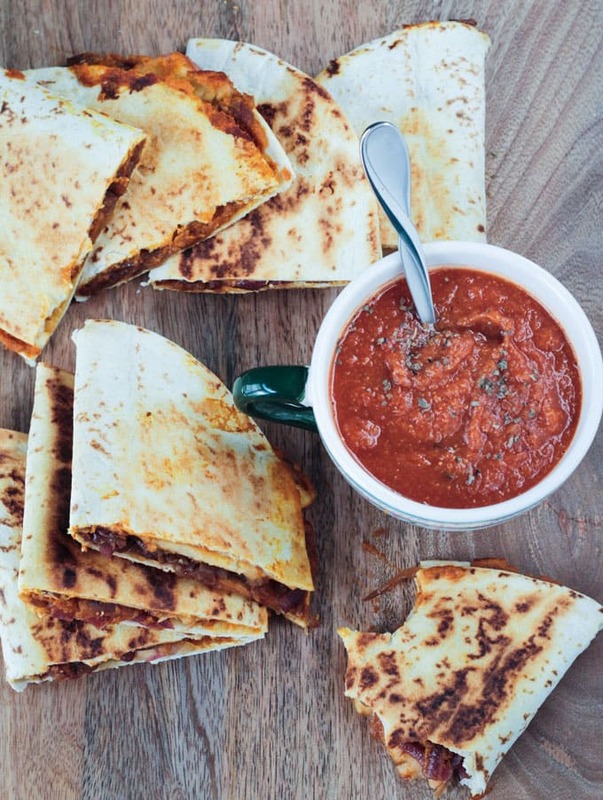 Perfect for snacking, cooking, baking, all-the-things! We visited our first orchard of the season last weekend and within days almost all of the apples were gone. The kids can’t get enough. I snagged the last couple and baked up this delicious, soft, and perfectly fall quick bread. With only hints of cinnamon and no other spices to muddle the flavor, this Apple Cinnamon Bread lets the apples shine and really brings that classic apple bread flavor. Your house will smell ah-ma-zing while this is baking, by the way! When I first set out to make this bread, I thought about adding more. I love the combination of apples and pumpkin together, like in these quesadillas and this baked oatmeal. 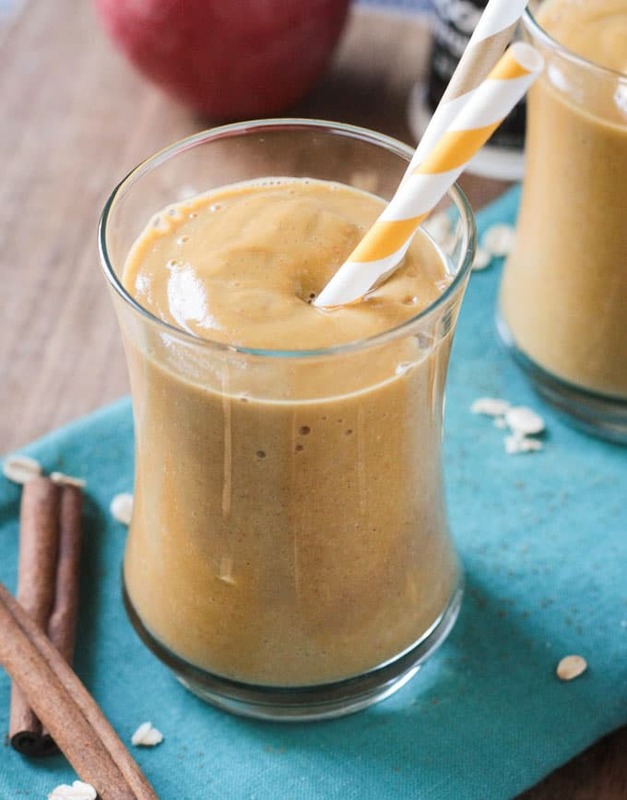 Apple and walnuts are a classic combo that I used in this smoothie. And, of course, who could resist the marriage of apples and caramel like in this bread pudding. Ultimately, I really just wanted something simple – something that would let the delicious juicy apples shine. Something that would be perfect with a cup of coffee or tea, but also hold up to a quick snack all on it’s own. 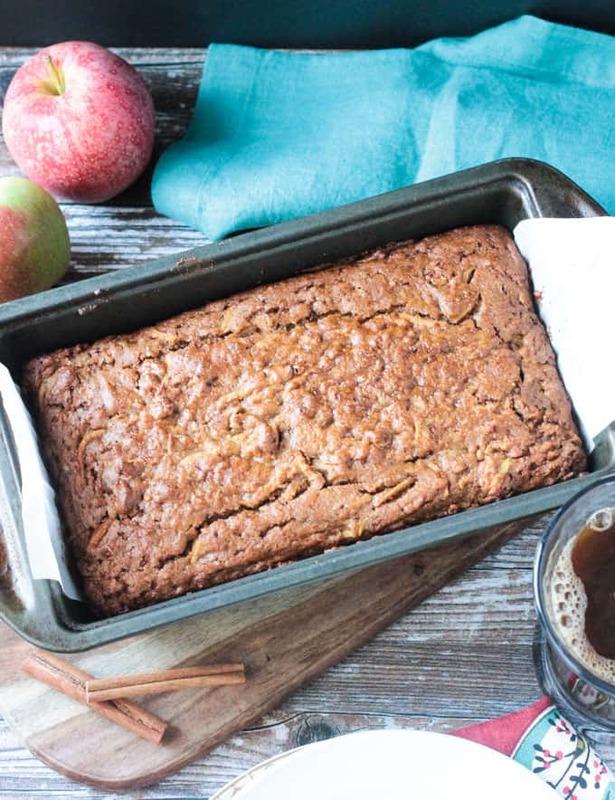 With just a touch of cinnamon, this simple apple quick bread is autumn perfection. I like to use tart apples to balance the sweetness. Liberty is our favorite orchard pick, but feel free to use your fave! Thanks to the juicy shredded apples throughout, the texture of this quick bread is slightly more delicate than my other quick breads. It’s soft and fluffy and sweet and oh so delicious! I played around with the ingredients a bit when trialing this recipe and did come up with some denser versions, but this light and delicate apple cinnamon bread was by far my favorite. Every bite just melts in your mouth! My kids raved about it, too. They’ve taken slices in their lunch boxes and eaten more slices for after school snack. Their little eyes lit up when just yesterday when I pulled yet another loaf out of the oven. We’ve eaten a LOT of apple bread over the last week and I don’t see it stopping anytime soon! I hope you love this Apple Cinnamon Bread as much as we do! If you try it, please come back and leave me a comment below with your feedback and star rating. 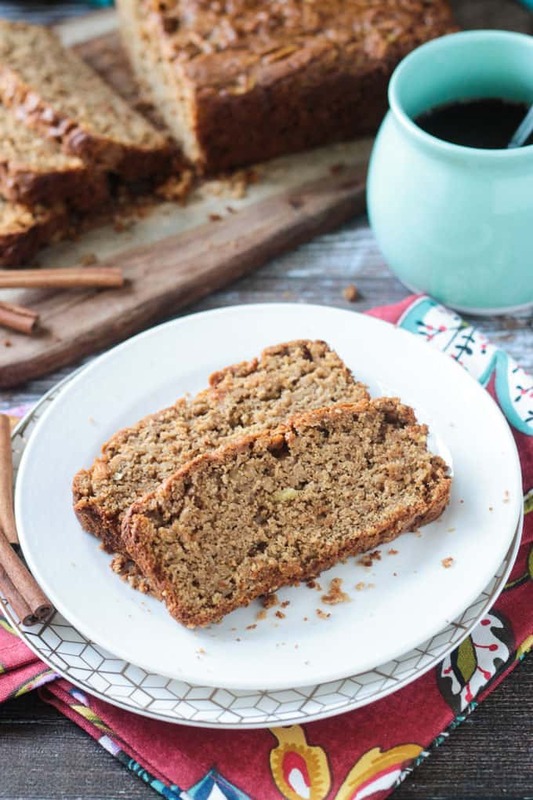 Apple Cinnamon Bread - simple, classic fall flavors in an easy oil-free quick bread. Try it for breakfast, a lunchtime treat, an afternoon snack with coffee or tea, or even a dessert. Preheat oven to 350 degrees F. Line a 9.25" x 5.25" loaf pan with parchment paper (or lightly spritz with oil) and set aside. In a small measuring cup, whisk together the non-dairy milk and apple cider vinegar and set aside. In a medium mixing bowl, whisk together the flour, baking soda, cinnamon, salt, and baking powder. In a large mixing bowl, whisk together the cashew butter, maple syrup, coconut sugar, aquafaba, vanilla extract, and non-dairy milk/apple cider vinegar mixture from earlier. Pour the wet ingredients into the dry, whisking until just combined. Add the shredded apples and gently mix again just until combined. Pour batter into the prepared loaf pan. Bake for 50-60 minutes until a toothpick inserted in the center comes out clean. Let the bread cool in the pan on a wire rack for 10 minutes. Turn the loaf out of the pan and continue to cool on the wire rack for another 10-20 minutes before slicing. *Aquafaba is the liquid from a can of chickpeas. It acts as the egg in this recipe and helps the bread to rise and stay soft and fluffy. **I like to use the big holes on the food processor grating disc. You can also grate by hand using the side with the bigger grates. Me and fruit baking just don’t seem to mix! This slice was delicious, but mine was soggy in the middle – even after additional baking time. *sigh* Guess there’s always next time! Sorry to hear that Natalie. Are you sure your oven temperature is correct? If you continually have issues, you might need to have your oven calibrated. Glad you liked the flavor though! Pretty sure my oven temp is under, but I always allow for that and set it a bit higher … AND added some extra time to start with. Also, make sure to let it cool completely before attempting to slice it. That could make a big difference too. I love your idea of using muffin tins! Apple Cinnamon Muffins sound delicious! Thanks, Natalie! It’s so true that pumpkin becomes a huge theme in fall. 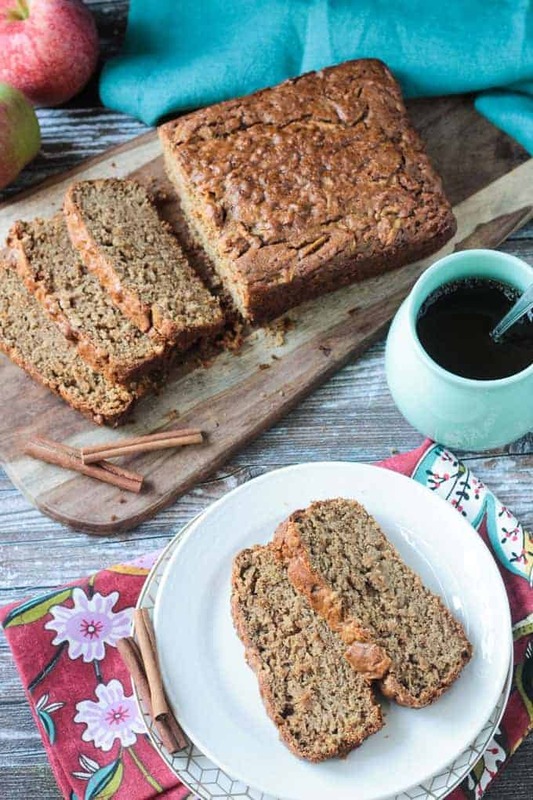 But this apple cinnamon bread sounds and looks amazing! Apples deserve love too! 🙂 Thanks, Christine! Yum…this looks tasty. I just went apple picking and need recipes to use up the apples. This looks like I might have to make more than one loaf since everyone is a fan in my house. We’ve been through quite a few loaves already! Hope you enjoy it! Very interesting that you used aquafaba and coconut oil! I love the thought of that! We love visiting our local orchards and picking a ton of apples in the fall too! It seems like everything is a bit early here this year! Aquafaba is my go-to for egg-free baking. No coconut oil in there though – it’s oil free! Definitely need to put this on the “to make” list for the near future. It’s perfect for fall! Thanks, Lisa! I love everything about fall!